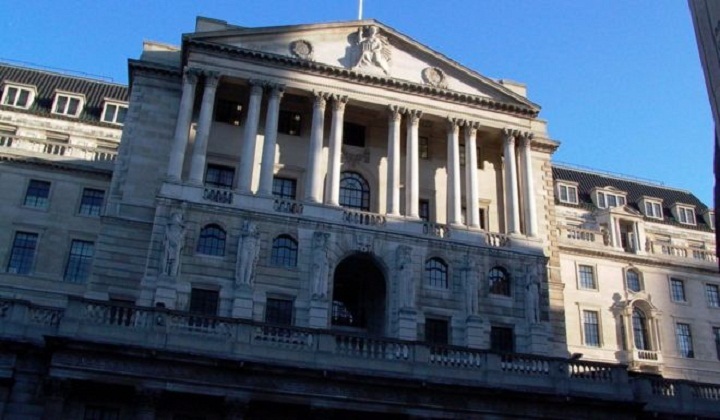 The Bank of England is widely expected to cut UK interest rates for the first time since March 2009 on Thursday. It is anticipated that Mark Carney, the Bank governor, will announce a reduction from 0.5% to 0.25% at noon. Last month the Monetary Policy Committee (MPC) voted to hold interest rates, despite economists predicting a cut. While a reduction is not certain, there is increasing pressure on the Bank to act after recent poor economic data. With a sharp fall in the services sector, factory activity down and the construction industry also slowing, most economists argue now is the time for action. "Economic data since the referendum have weakened sharply. There is a real need for more stimulus now," says Samuel Tombs, chief UK economist at Pantheon Macroeconomics. David Blanchflower, a former MPC member and now professor of economics at Dartmouth College in the US, says the Bank must, at the very least, cut rates: "If the data turns around, the Bank can reverse the cut. "If they don't act and it turns out they should have, then the situation is much worse." A rate cut would be intended to boost the UK economy in the wake of the country's vote to leave the European Union. But the uncertainty surrounding Brexit, as well as how any stimulus could affect financial markets, will cause the MPC difficulties in deciding what to do. Andrew Sentance, a former MPC member and now senior economic adviser at PwC, says a rate reduction would at this point be a "wasted gesture". "I wouldn't be surprised to see a rate cut, but I don't think it's the right decision at the moment," says Mr Sentance. "The shock that has hit the economy is a political one. It's shaken the underlying position of the economy, which isn't something that monetary policy is particularly well placed to solve." Resuming quantitative easing (QE) - when the government buys assets with money it has created electronically - is another option for the MPC. It does, however, bring its own problems, as the final result cannot be accurately predicted. "QE is even less appealing than a cut to interest rates," says Mr Sentance. "Financial markets were in such a fragile state when QE was introduced in 2009; they aren't in that position now. We don't have the same level of turbulence, there is a chance of making things worse." For borrowers, a rate cut could be good news. Using Office for National Statistics (ONS) house price data, a cut to 0.25% would mean a £22 monthly reduction in the bill for a variable 25-year repayment mortgage on a typically priced home of £211,000 (taking a 20% deposit into account). However, for those with a fixed mortgage or for people hoping for returns on savings, the rate cut will not be welcome. "Many households have fixed their mortgage payments for several years, meaning they will see no immediate benefit from a rate reduction," says Mr Tombs. "With this limiting the impact of a rate cut on the real economy, the Bank may judge that the benefits of zero rates do not justify the costs." The last time the Bank cut interest rates was in March 2009, at the height of the financial crisis.